In this playlist, Dr. Cate Crowley walks Early Intervention Evaluators through critical steps in conducting an Early Intervention evaluation considering current federal law, state regulations, clinical judgment, and evidence-based practice. 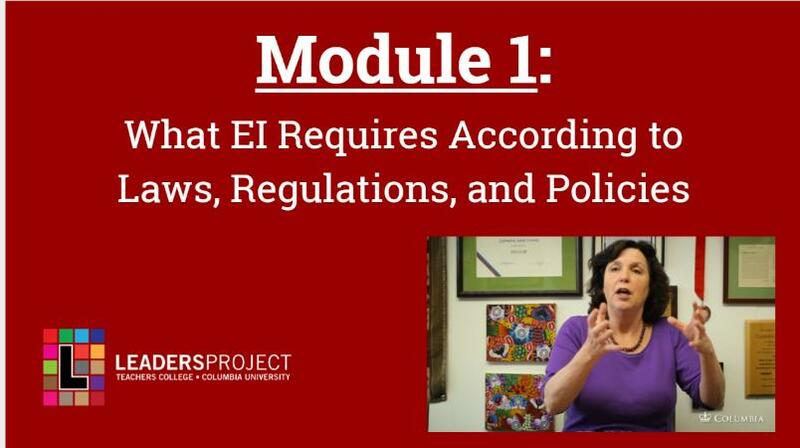 In this module, Cate will review city and state regulations, federal law, research-based practice in her discussion of what makes a linguistically and culturally appropriate EI evaluation. She will look more closely at commonly used Early Intervention assessments for areas of bias that may lead to misdiagnosis if used with children of diverse backgrounds and experiences. In this first module, Cate discusses current NYCDOH laws and regulations regarding requirements for Early Intervention evaluations. She explains that, according to current regulations, evaluators are not required to use norm- and criterion-based tests in all EI evaluations. She talks about what is “significant enough” to require early intervention in New York City, and introduces the importance of using detailed clinical observations and informed clinical opinion in determining a child’s eligibility for services. 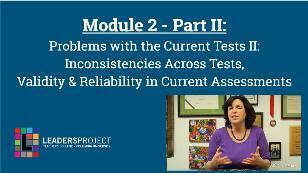 In this module, Cate continues discussing current issues of misuse of current standardized EI assessments. She then examines across-test inconsistencies across tests like the REEL-3, the Rossetti, Bayley-III, E-LAP, Brigance, DAY-C, amongst others. Finally, Cate will take a deeper look at the validity and reliability of these common assessments, and caution evaluators to rely on more than a standard score in determining disability eligibility for children before the age of three. In the third module of this series, Cate looks at the NYSDOH Communication and Motor Clinical Practice Guidelines and uses case study videos of young children to demonstrate how detailed observation and informed clinical opinion can be powerful tools in doing an EI evaluation. Using observation of real children’s behavior, she guides the viewer through the steps for distinguishing a child eligible for EI services from a child in the wide range of “normal”. In the fourth module of this series, Cate explains the importance of parents as partners in EI disability evaluations. She presents research-based Critical Questions that evaluators can use to gather useful information from caregivers when evaluating a child, including information about the child’s language and dialect acquisitional history. Cate also presents the case of a 2.8-year-old boy, Alex, to demonstrate how to use the clinical questions to gather information and write up a quality EI evaluation. In the fifth module of this series, Cate discusses characteristics of a quality Early Intervention evaluation. She explains that evaluators must include specific data learned during the assessment and make “vignettes” or “holograms” paint a picture of the child. Then, she guides us through cases of real children, demonstrating how to use informed clinical opinion to make rich observations about their communicative, cognitive, and motor functioning. Finally, Cate gives examples of what a “vignette” or “hologram” looks like in a written evaluation. In the sixth module in this series, Cate presents research on bilingualism in children 0-3 years of age and explains when a bilingual evaluation is necessary in Early Intervention. She goes over essential skills that every bilingual evaluator should have and talks in-depth about how to work with an interpreter in a culturally and linguistically appropriate way. Finally, Cate presents case studies of bilingual children under the age of 3 that demonstrate the influence of bilingualism on early language development. In the seventh and final module in this series, Cate provides information on Childhood Apraxia of Speech and discusses the recent over-diagnosis of this speech disorder in NYC Early Intervention. Then, she presents various examples of EI Apraxia evaluation write-ups and talks us through the differences between high and low quality reports. Dr. Catherine Crowley developed the critical questions over the course of her clinical practice. The Early Intervention version of these questions are more specific to early intervention evaluations. She has found them to be the most effective and valid pieces of information needed by the evaluator in order to distinguish language difference from disorder, especially in culturally and linguistically diverse populations. In addition, this set of questions includes questions supported by research as being the one of the most accurate measures of language disorder (Restrepo, 1998).